SUP Bathing Suits: Concluding Thoughts! 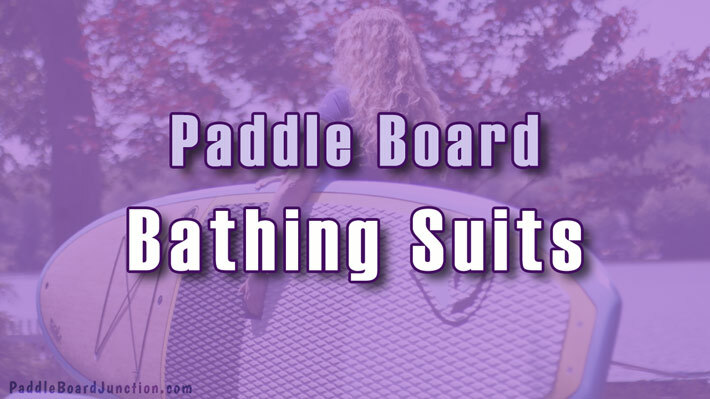 Many paddlers wear a variety of attire on the water, and it can be hard to figure out what kind of paddle board bathing suit to get. 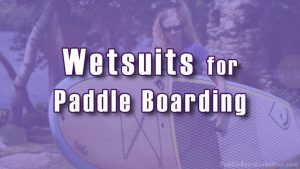 This article will review several recommended SUP bathing suits and other attire for paddle boarding, for both females and males. Really, any old swimsuit can do the trick. 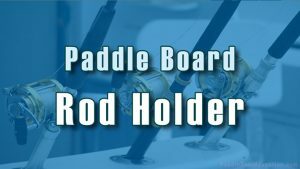 But for more active paddlers, getting a nice quality pair of shorts or a swimsuit set designed for sporting is even better. Paired with a swimsuit bottom, this swim shirt by Sporti is perfect for sunny days out on the water. The fabric is made of nylon and spandex, giving it a stretchy and comfortable feel. The fabric is also designed with UPF UV 50+ protection, which is perfect for sunny days. The average review rating for this product is 4.5 out of 5 stars, which is pretty great. Many customer reviews also say that the swim shirt fits well and dries fast, which is excellent for people who are out on the water all day. You can find the Sporti Women’s swim shirt here. Paired with a swimsuit top or lightweight tank top, the Sporti Swim Leggings are perfect for SUP yoga. Especially on chilly or windy days out on the water, these leggings will keep you warmer than swim shorts while providing comfort and flexibility. The fabric is made out of nylon and Lycra, which lasts 5-10 times longer than ordinary spandex. These leggings are durable and the color/fabric won’t degrade from body oils, chlorinated water, or sunscreen. The average review rating for the Sporti Swim Leggings is 4 out of 5 stars. These leggings are designed for women, and many reviews say that they run large, so order one size down from your usual size. You can find the Sporti swim leggings here. Made with 100% nylon, these board shorts are durable and great for any paddle sport on the water. 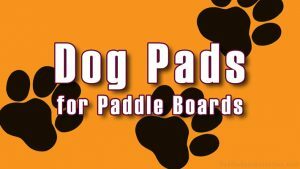 They are durable, and dry quickly, which is great for those who may fall in the water a lot while paddle boarding. The average review rating for these paddle board shorts is 4.6 out of 5 stars, and many reviews mention that the quality is great. You can find the Mountain Khaki’s SUP board shorts here. 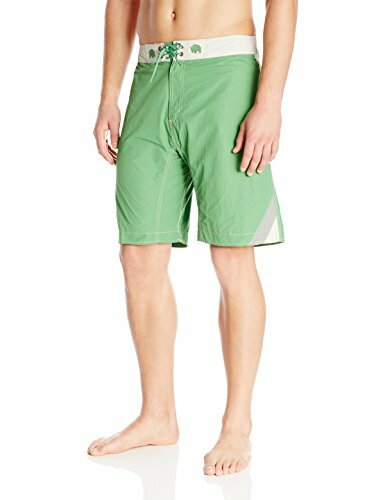 Made with nylon and polyester mesh, these high-quality board shorts are comfortable and allow you to move around on the water with no chafing. 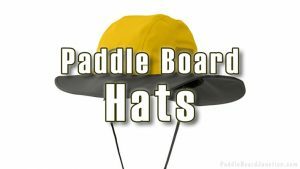 The material also provides protection from the sun’s UV rays, perfect for long sunny days out paddling. The polyester mesh lining also allows the product to dry quickly. The average review rating for these Patagonia board shorts is 4.4 out of 5 stars. Many of the customer reviews note how comfortable these shorts are, and how they dry quickly. You can find the Patagonia Baggies Longs Shorts here. The O’neill’s Long Sleeve Crew Rashguard provides durability as well as flexibility. 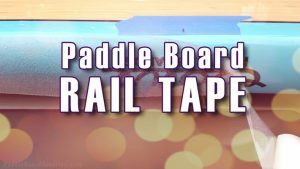 The fabric is made with stretchy nylon and spandex, which allows a lot of movement when paddling. With rash protection, UV protection, flatloc stitching, and a quick drying time, this swim shirt is very high quality and perfect for long days out paddling. The average review rating is 4.5 out of 5 stars. Most customer reviews mention the perfect fit and comfort of the material. You can find the O’Neill’s Long Sleeve Crew Rashguard here. If you’re a female paddler, the Sporti Swim Shirt and Swim Leggings are perfect for regular paddling and especially for yoga. For you guys out there, you can choose between the Mountain Khaki’s and Patagonia Baggies for board shorts, but Patagonia is a little more pricey. You can also pair either one with an O’Neill Long Sleeve Rashguard for optimum UV protection.